In June 22, 1850, gold was discovered along the South Platte River in Arapahoe County (in present-day Englewood). This discovery precipitated the Pike's Peak Gold Rush. Many residents of the mining region felt disconnected from the remote territorial governments of Kansas and Nebraska, so they voted to form their own Territory of Jefferson on October 24, 1859. The following month, the Jefferson Territorial Legislature organized 12 counties for the new territory, including Jefferson County. Jefferson County was named for the namesake of the Jefferson Territory, Thomas Jefferson, the principal author of the Declaration of Independence and the nation's third president. Golden City served as the county seat of Jefferson County. Robert Williamson Steele, Governor of the Provisional Government of the Territory of Jefferson from 1859 to 1861, built his home in the county at Mount Vernon and later at Apex. The Jefferson Territory never received federal sanction, but during his last week in office, President James Buchanan signed an act which organized the Territory of Colorado on February 28, 1861. That November 1, the new Colorado General Assembly organized the 17 original counties of Colorado, including a new Jefferson County. In 1908, the southern tip of Jefferson County was transferred to Park County, reducing Jefferson County to its present length of 54 miles (87 km). Several annexations by the City & County of Denver and the 2001 consolidation of the City & County of Broomfield removed the east and extreme northwestern portion of the county, respectively. In the county, the population was spread out with 25.30% under the age of 18, 8.10% from 18 to 24, 32.10% from 25 to 44, 24.90% from 45 to 64, and 9.60% who were 65 years of age or older. The median age was 37 years. For every 100 females there were 99.00 males. For every 100 females age 18 and over, there were 96.80 males. According to a report in the Journal of the American Medical Association, residents of Jefferson County had a 2014 life expectancy of 80.02 years. The Jefferson County Government Center, also known as the "Taj Mahal". ^ a b "State & County QuickFacts". United States Census Bureau. Archived from the original on July 12, 2011. Retrieved June 8, 2014. ^ "Centers of Population by State: 2010". United States Census Bureau. Archived from the original on January 3, 2014. Retrieved June 8, 2014. 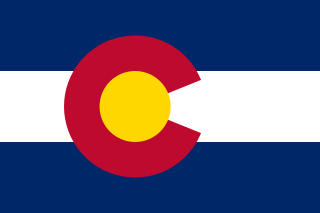 ^ "An Act to provide a temporary Government for the Territory of Colorado" (PDF). Thirty-sixth United States Congress. 1861-02-28. Retrieved 2007-11-26. Wikimedia Commons has media related to Jefferson County, Colorado. The South Platte River is one of the two principal tributaries of the Platte River. Flowing through the U.S. states of Colorado and Nebraska, it is itself a major river of the American Midwest and the American Southwest/Mountain West. Its drainage basin includes much of the eastern flank of the Rocky Mountains in Colorado; much of the populated region known as the Colorado Front Range and Eastern Plains; and a portion of southeastern Wyoming in the vicinity of the city of Cheyenne. It joins the North Platte River in western Nebraska to form the Platte, which then flows across Nebraska to the Missouri. The river serves as the principal source of water for eastern Colorado. In its valley along the foothills in Colorado, it has permitted agriculture in an area of the Colorado Piedmont and Great Plains that is otherwise arid. Gilpin County is the second-least extensive of the 64 counties of the U.S. state of Colorado, behind only the City and County of Broomfield. As of the 2010 census, the population was 5,441. The county seat is Central City. The county was formed in 1861, while Colorado was still a Territory, and was named after Colonel William Gilpin, the first territorial governor. El Paso County is one of the 64 counties of the U.S. state of Colorado. The 2017 census estimate recorded an approximate population of 699,232 for El Paso County. The Census Bureau's 2017 estimate indicates it is the second-most populous county in Colorado, after the City and County of Denver. The county seat is Colorado Springs, the second most populous city in Colorado. Arapahoe County is one of the 64 counties in the U.S. state of Colorado. As of the 2010 census, the population was 572,003, making it the third-most populous county in Colorado. The county seat is Littleton, and the most populous city is Aurora. The county was named for the Arapaho Native American tribe who once lived in the region. Roxborough Park is a census-designated place (CDP) in Douglas County, Colorado, United States. The population was 9,099 at the 2010 census, up from 4,446 at the 2000 census. Jefferson County School District R-1 is a school district in Jefferson County, Colorado. The district is headquartered at the Jeffco Public Schools Education Center in West Pleasant View, an unincorporated area of the county near Golden in the Denver-Aurora-Lakewood, CO Metropolitan Statistical Area. Jeffco Public Schools serves more than 86,000 students in 155 schools, including nine option schools and eighteen charter schools. It is the second-largest school district in Colorado, having been surpassed in 2013 by Denver Public Schools, which has an enrollment of approximately 87,000.